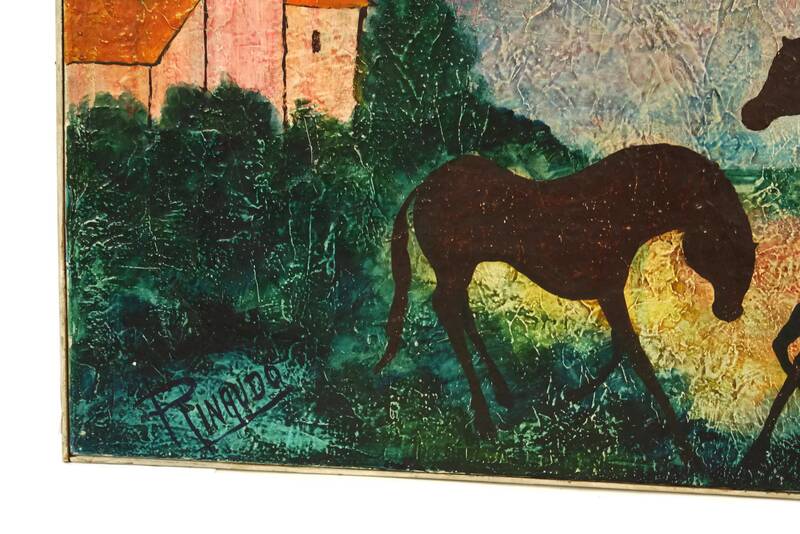 A striking vintage French horse painting dating form the mid century. 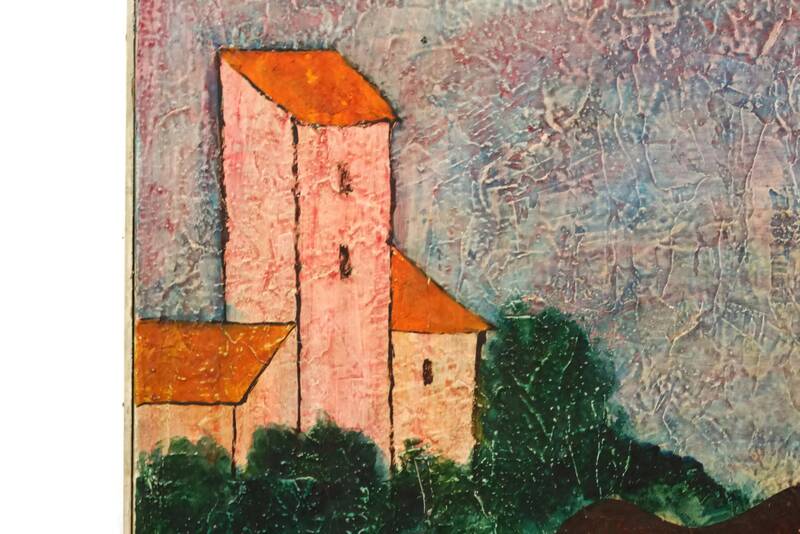 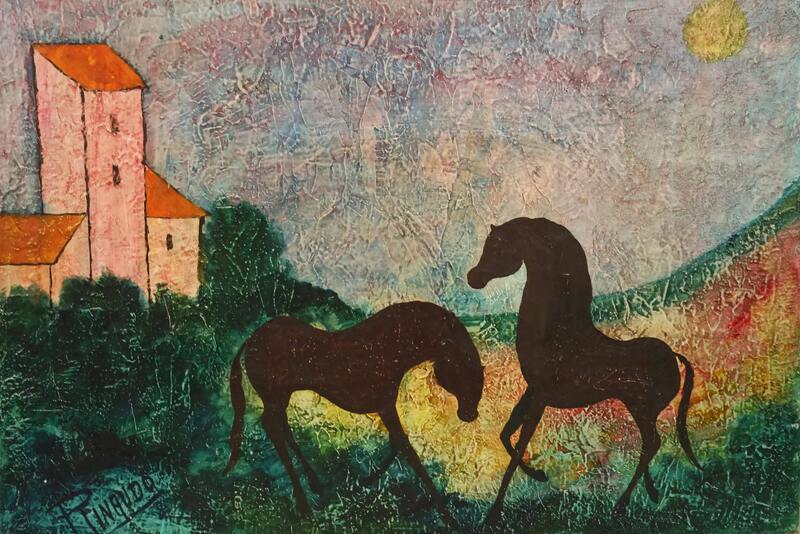 It is a large size and has been painted in oils on stretched canvas. 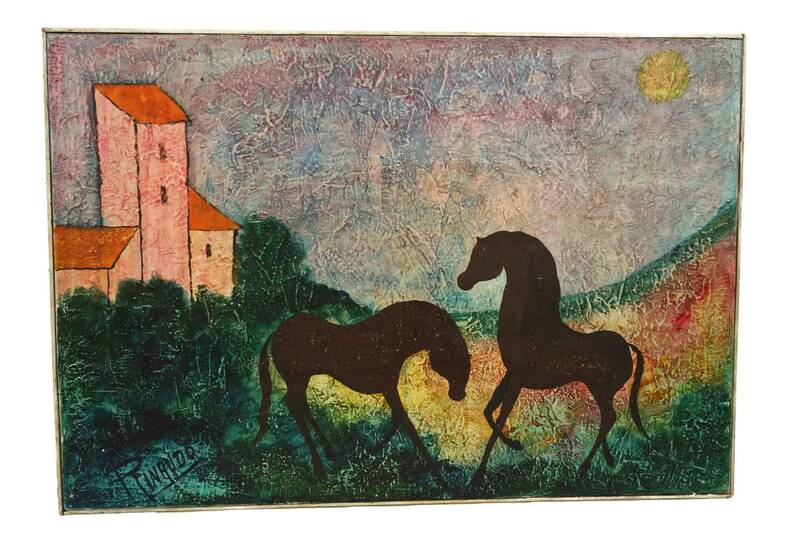 The painting portrays 2 horses in a field in the south of France with a country house in the background. 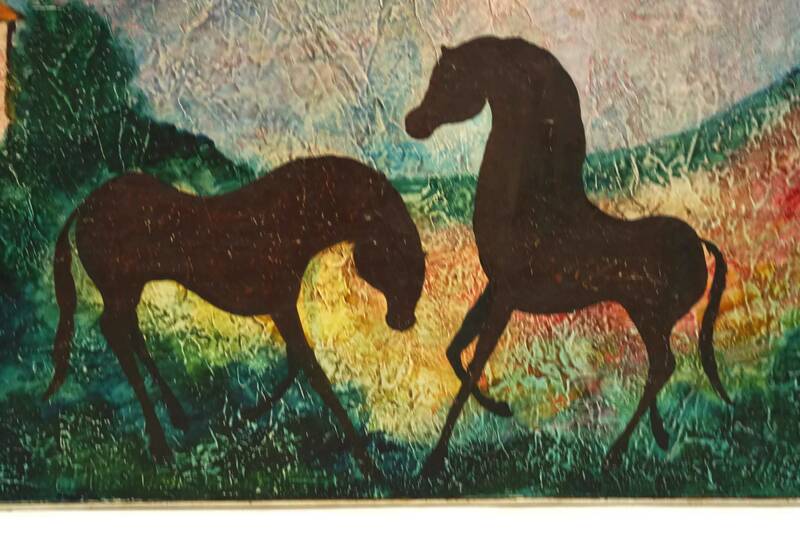 The equestrian art painting has been created in a modern style with bold colours and a textured surface with bold brush strokes. 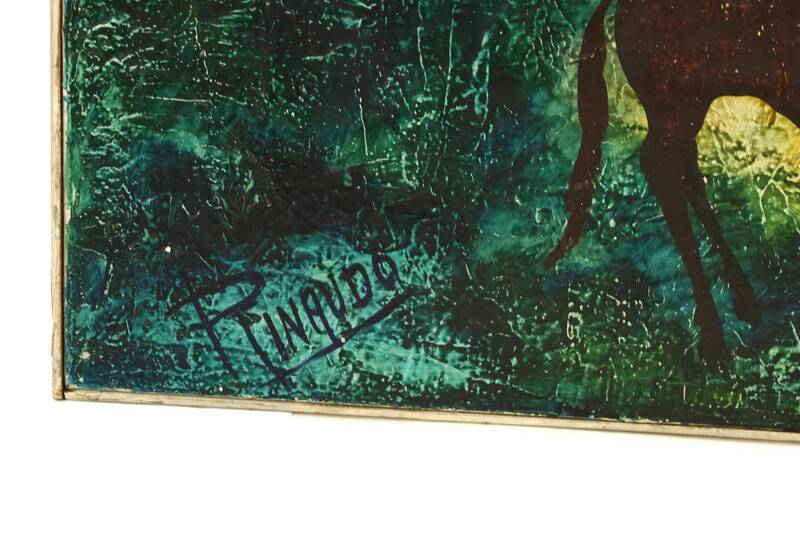 It has been signed by the artist F. Pinaudo. 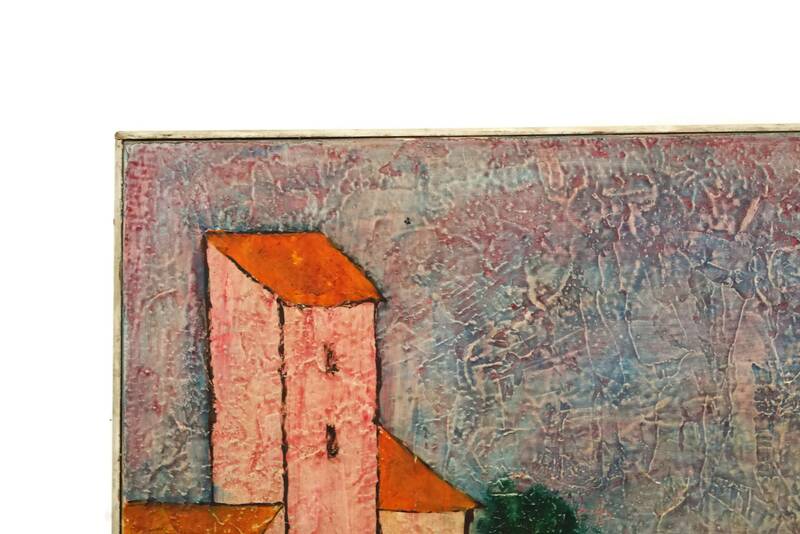 The painting has been mounted in a simple white painted wooden frame. 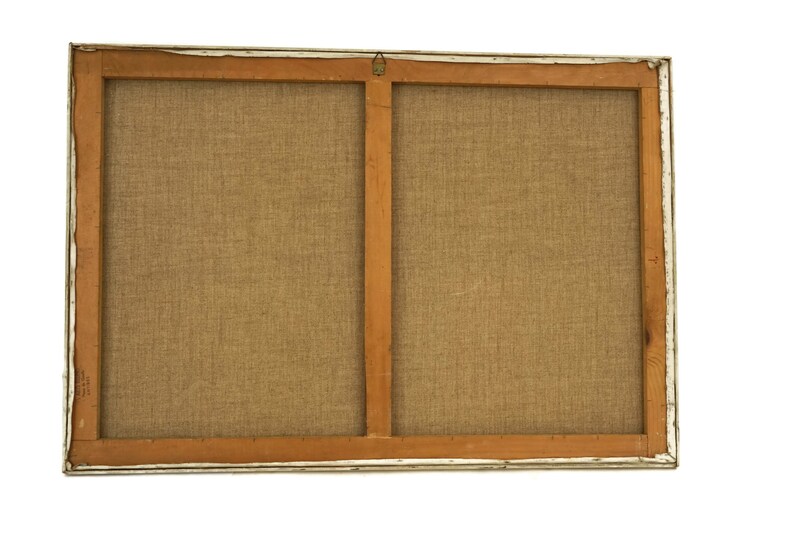 (51 cm x 74 cm). 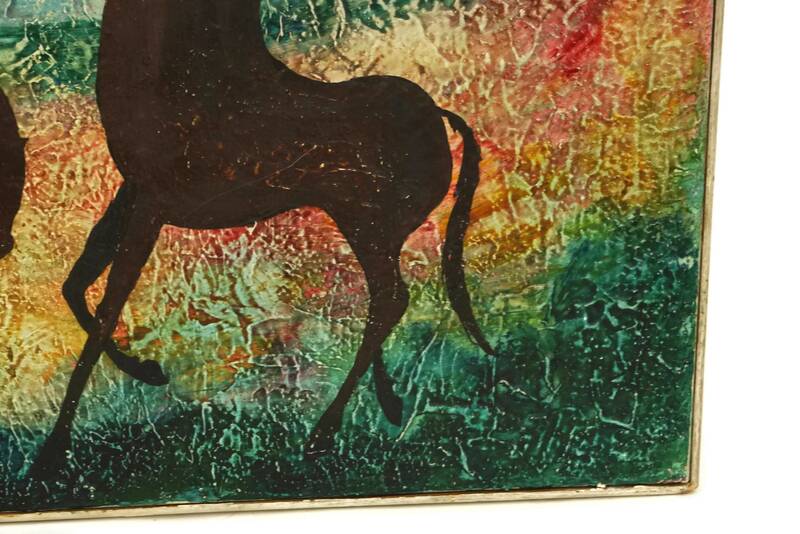 The vintage horse painting is in good condition with some light signs of age. 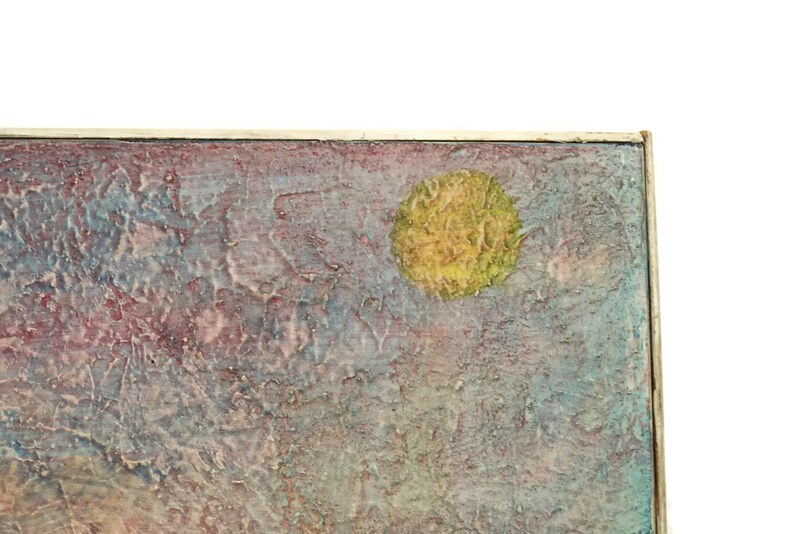 There are small surface marks to the painted surface in places and the frame has patina and flakes to its paint.